When it comes to choosing the right nutritional supplements, there is no one-size-fits-all approach. Every person’s metabolism, diet, routine, and habits will be different enough that their nutritional supplement needs will be equally unique. With all that said, groups of people who engage in similar activities regularly — in this case, runners — can expect to have a similar starting point in determining what helps them feel the best, recover the fastest, and meets their needs. In today’s blog, we will discuss the most common vitamins and nutritional supplements that we hear runners are taking as well as the things we commonly recommend to them. At the House of Nutrition in Poughkeepsie, we’re experts at helping people find the right supplements for maintaining a healthy life, figuring out the proper dosage, and even helping tweak brands that might serve you better. We keep a wide variety of brands, doses, and kinds of nutritional supplements in stock to make sure that we have what you’re looking for. Additionally, we maintain a nutritionist on staff who can help you feel confident that you are getting the right supplements for your lifestyle. Branched-chain amino acids, or BCAA, supports lean mass development, reduces muscle breakdown, and increases protein synthesis. All of these are crucially important aspects of what a runner needs to be healthy. Running, like most other forms of endurance activity, presents a unique set of challenges for your body. Many runners report to us that they struggle to maintain weight and typically lose muscle mass, especially when training hard for marathons or other intense distance runs. BCAA helps your body get the most out of what you are eating quickly and reduces the muscle loss from being at a calorie deficit while training. Additionally, runners are always looking for ways to help speed recovery and be prepared for a run the next day. BCAA’s ability to speed protein synthesis can help restore muscle damage while making sure your body has more of what it needs to repair and restore itself from your other recovery activities and habits. Let’s just get this out there — we think that probiotics are good for just about everyone, but for some people, they are especially important. 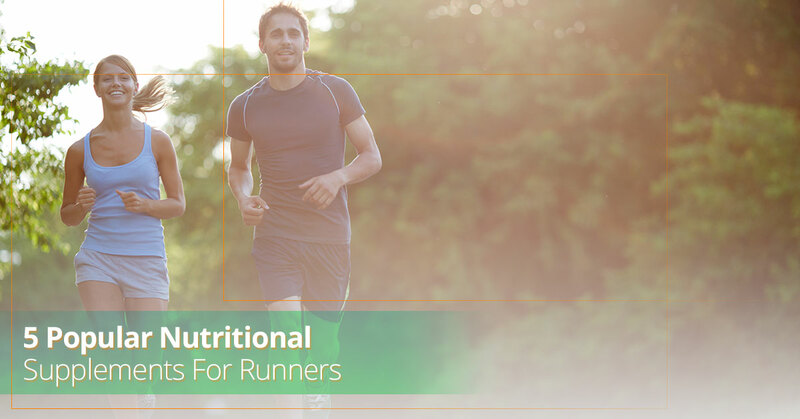 Runners who visit our nutritional supplement store in Poughkeepsie share with us that their high activity level and high volume intake of calorie-rich foods and shakes is hard on their stomachs. Probiotics provide your gut with a support system in the form of millions or billions of healthy bacteria. This can aid digestion, reduce bloating, and there is even some pretty impressive research out there that suggests they can help balance your brain chemistry and improve your mood. For runners who face the challenges of working hard to chase down their goals and a diet that although healthy, can be tough on the system over time, probiotics are a great choice. It’s no secret that running is a lifestyle that is hard on the human body. In particular, hips, knees, and feet seem to suffer the worst. From soft tissue injuries to repetitive stress ailments to bone density loss, runners’ lower bodies take a beating. You can protect your joints better by making sure that you are getting plenty of calcium. This nutritional supplement is even more important for female runners who are statistically more prone to bone loss and injuries related to that condition. Fish oil supplements are another fantastic way to help reduce joint damage from repetitive stress while gaining some other excellent fringe benefits. Fish oil contains Omega-3 fatty acids, a building block for a healthy body that the human body cannot produce on its own. As such, it must be consumed through a diet rich in fatty fish or via a nutritional supplement. In addition to being healthy for your joints, fish oil can also help to reduce exercise-induced muscle damage and delayed-onset muscle soreness — two side effects of running that every runner deals with. Vitamin E is a nutritional supplement that helps to promote a healthy heart and cardiovascular system — both of which are key to getting the most out of your body when running short or long distances. Additionally, vitamin E is an effective fighter of free radicals that can be produced by over-exercising, or in the case of runners, when preparing for a marathon or other endurance activity. House of Nutrition in Poughkeepsie provides all of these supplements and more. Come in today and let us help you find the right brands for your lifestyle, or if you already know what you need, fill out a form online and receive free local delivery.